A healthy take on chocolate cake | Fork off, heart disease! Yup. Leave it to Katie Higgins of Chocolate Covered Katie fame to make a chocolate cake that is so sinlessly delicious, you will not quite believe your taste buds! We had our lovely neighbours over for tea on Sunday. And what goes better with afternoon tea than cake. I was in the chocolate mood (quite frankly, when am I ever NOT in a chocolate mood?!?) 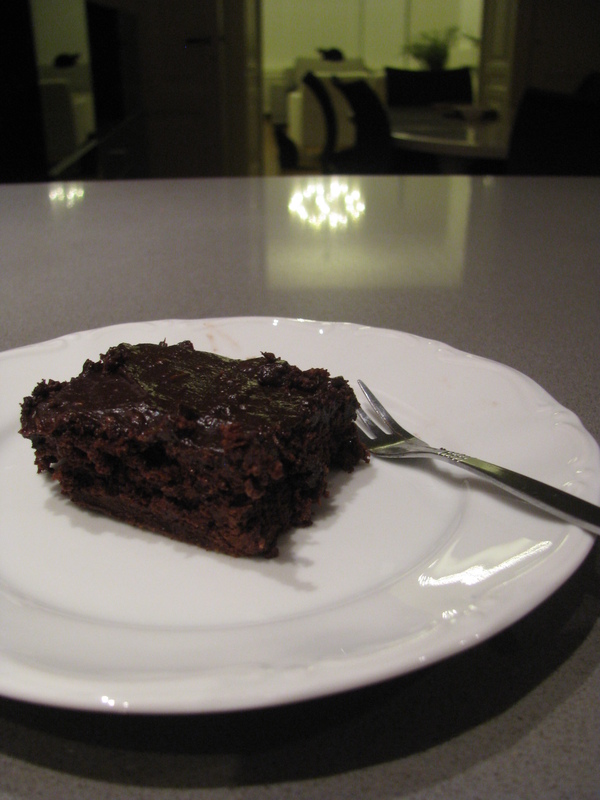 and came across Katie´s crazy ingredient chocolate cake recipe. I was intrigued: how would blended raw cauliflower work in this recipe? So I gave it a go. And you know what, it was fantastic! My neighbours heartily approved as well. For the stevia, I have the loose powder similar to the packets that Katie uses (in other words, not the ¨uncut¨). Each packet she uses is 1 gram each so I added 4 grams of my loose powder. It was perfect! Just sweet enough. The oil can be replaced by unsweetened apple sauce. For the frosting, I opted to modify this recipe from Julie Morris. Instead of cacao liquor, I used Kahlua liqueur. If you find that the frosting is too runny, just add a bit of cocoa powder. If you find that it is too stiff, add more avocado.